How do you pioneer a new category and grow to over 1 million customers? Joining me in this interview is David Friend, co-founder of Carbonite, the cloud-based backup solution that works automatically. I invited him to Mixergy to hear how he built the business. David Friend is the Chairman, CEO and Co-founder of Carbonite, which offers consumer and small-business backup services with unlimited online backups for a low, flat price. Three messages before we get started. First, are you still coordinating projects by email and wondering why you’re not productive? Would you check out TeamworkPM.net? TeamworkPM.net is trusted by Universal Studios, the University of Texas at Austin, the U. S. Army and other large organizations. But if you’re just trying to coordinate with a small company, maybe, even just two people, it’ll still help make your team more productive. How much more productive would you like to be with TeamworkPM.net? Next, who is the lawyer that tech startups trust? Scott Edward Walker of Walker Corporate Law. Here’s what Neil Patel, founder of KISS Metrics, says about Scott. He says, “Scott is a great lawyer. He’s affordable, responds fast, doesn’t charge you for five-minute phone calls and always give great advice.” Walker Corporate Law. Finally, did you know that in addition to being the virtual phone system that entrepreneurs love, Grasshopper.com has one of the most popular blogs on entrepreneurship. Even if you’re not ready to get a new phone number from Grasshopper.com, even if you’re not ready to add extensions to your current phone, even if you’re not ready to get text-based voice mail and stop listening and start reading your voice mail, even if you’re not ready for all that and everything else that Grasshopper offers, check out Grasshopper.com’s blog to learn about entrepreneurship. Andrew Warner: Hey, everyone. I’m Andrew Warner. 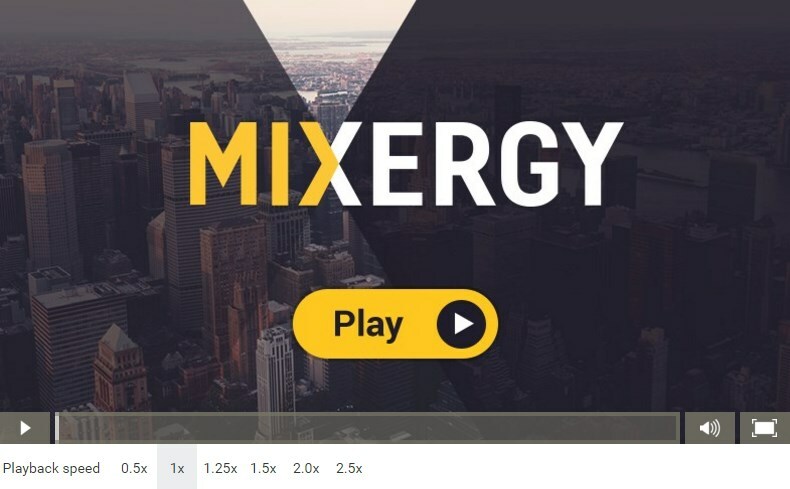 I’m the founder of Mixergy.com, home to the ambitious upstart. How do you pioneer a new category and grow to over a million customers? Joining me is David Friend. He is the cofounder of Carbonite, a cloud based backup solution that works automatically. I invited him to Mixergy to hear the story of how he built his business. David Friend: Hi, thanks a lot. Andrew: So , how long have you been running the company now? David: Well my cofounder, Jeff Flowers, and I started in May of 2005, that’s when we got the idea and incorporated. We were in development for about a year and launched in May of 2006 and today we have, as you say, over a million customers about 170 employees here in Boston and many more elsewhere. Andrew: All right. And I know we’re not going to be talking about forward numbers and maybe not even about current numbers, but INC. magazine had a revenue number for you, I think, that was for 2010, is that right? Andrew: $19.1 million in revenue? Man 1: I think that was probably in 2009. David: No, that was 2009. Andrew: 2009, okay. All right. I just wanted . . .
David: We’ve been doubling in size every year. Andrew: Doubling in size every year, so doubling since then? Andrew: This is an incredible company and when we say you have customers, we’re not talking about users, these are people who are actually paying to use the service. What are they paying for? I mean how does the service work? David: Sure. Well, Carbonite is unlimited backup. It backs up your PC. So people go to our website, because they’ve heard our ads or they’ve seen our ads and they put in an email address and a password and then Carbonite just proceeds to backup everything on their PC, all their photos, all their music, all their documents and so forth, and it just sits there in the background running. Most people like it. So before the end of the two-week free trial is up, they put their credit card in and $59 dollars a year and then there’s, more or less, 10% discount for two, 20% discount for three years, and they become customers. Tthose are paying customers, not try outs. Andrew: So, I actually went back and saw a press release that you issued in 2006, were you described the service as a photo backup system. Why did you decide to launch as photo backup? David: Well, originally we thought that was kind of like the sweet spot that consumers were really interested in photos, but it turns out that that’s mostly what they’re interested in, but really what people wanted to do was just backup everything on their PC. They wanted their Quicken files backup, they wanted emails backed up, correspondence and so forth. So we had actually started that way and the photo backup thing actually came because a retailer suggested we try it and it was a failure. Andrew: Oh, I retailer said do photos? David: Yeah, and we said, “Okay. Well, we’ll give it a try.” But since day one, in May of 2006, Carbonite has been about backing up everything on your PC. The photo thing was a little side tour that didn’t work. Andrew: Ah, I see, okay. All right. Let’s understand how you got here. Starting with how you and Jeff, your co-founder, met, where did the two of you meet? So I called Prime and I got his phone number and I said, “That was a great story. I mean, what an awesome story about how a small software team can go off and five or six guys can do what a big engineering department said couldn’t be done.” And so we had lunch and it turns out that rather than being a hero out there, he was actually ostracized, because the engineering department looked bad. And so he said, “I’m sick of this place anyway, why don’t I come help you get this startup going.” So Jeff and I built Computer Pictures out then we sold it to a bigger software company called Colladat [SP]. Then we started another software company called Pilot Software that became the largest provider of decision support systems for the retail industry and we sold that to Dunn and Bradstreet. Then we started a company called FaxNet that became the largest provider of fax to email and email to fax services, which we sold during the late ’90s for lots of money. Then we started a company called Sonexis that was a hardware company that was able to bridge a traditional phone call with a Skype call, for example and we sold that. And then we were sitting around on his patio in 2005 trying to figure out what we wanted to do next and his wife walked in and somebody had just broken in to her car and stolen her laptop and she lost two and a half years of baby pictures that she had never bothered to backup. Then a couple of days later one of my daughters called up from college and somebody had spilled a beverage on her computer and she lost the term paper that was due on Friday. So I raced down to New York and we took the hard drive over to one of these labs that tries to recover data from dead hard drives and they charged me $1,300 and we still couldn’t get the term paper back. That’s when Jeff and I said, “You know, there’s got to be a way to get our families to backup.” They had external hard drives and so forth, but they never used them, because they were laptop users, and you come in, you put your laptop down, the last thing you want to do is futs around with wires and plugging stuff in and all that kind of stuff. So they never actually used them. So we said, “Really the right way to do this, because people are moving around with their computers all the time, is to back it up over the Internet.” So we started to run some numbers and Jeff said, “We can’t really do this in 2005, but by 2006 the price of storage is going to come down so much that by the time we launch this thing, it’s going to work out.” So that’s how Carbonite got born. Andrew: I’m wondering as I hear you say that you reached out to Jeff back then, I’m wondering, did you know that you were going to work with him? That seems unusual, I read a lot about incredible people and I say, “I’d like to get to know them,” and maybe because I do interviews I get to meet them, but most likely I don’t, it’s just an interesting person, I’d like to met them at some point. You actually went out and you reached out to him. Was it with the idea that you might want to work with him, were you doing this with other people? David: No. I always have this theory that once in a while you run into an engineer who’s not 10% better than the average guy, but 10 times better than the average guy and every time I read one of those stories I try to hunt these people up and some of them become friends, so of them become colleagues. But we have a core of four or five of those people Jeff and I have brought with us to ever company we’ve started. So I like to meet exceptional people, whether they’re musicians or programmers or philosophers, it really doesn’t matter. Andrew: Have you done that with a musician or a philosopher? David: Well, you know, I am music composer by training. That was my original training. David: And I’ve been a trustee of the New England Conservatory and a trustee of Berklee College of Music here in Boston and all kinds of other things. So, yeah, if you come to dinner at my house, you’re much more likely to find composers and writers than you are business people and software people. Andrew: How do you find the people who you invite to dinner at your house? David: Well, if you’re on the board of the New England Conservatory, you’re constantly being hit up to support this or that fantastic pianist from China, who has no money and is looking for a place to live or needs a little support and the next thing you know, you’ve got this whole stable of people hanging around with their faculty advisors, and so forth, and it just happens. Andrew: Were you someone who was always that social or did this just come afterwards in life? David: No, I’ve always been this social. When I was at Yale, I belonged to a club at Yale that’s been around for 150 years whose sole purpose in life was sit around and have tea and little sandwiches and talk to random people. Andrew: Really? What’s the club? David: It’s called the Elizabethan Club. David: And they have a sister organization here at Harvard called the Signet Society that I also go to, because you go over there and you’re likely to meet some Noble Prize winner or some fantastic student. Natalie Portman was in the Signet Society. So one day I was having lunch over there and she plops down in the next chair, this is when she was a senior at Harvard. And you know, those are fun. Andrew: And so, what kind of conversation do you have with Natalie Portman? David: We talked about food and siblings. Andrew: Okay. And in high school were you like this? David: Yeah, I think so. I was always starting clubs. I was a ham radio operator so I started a radio club. I collect rocks so I started a mineral club. I like to play chess so I started a chess club. I’m not the guy who the other people kind of invite in, but I start my own things. Andrew: Wow. Any tips on how to do that right? David: No. I think people are either introverts or they’re extroverts, and I’m kind of an extrovert. Andrew: It just comes naturally to you. You’re not thinking it through. You’re not saying, “I’ve got a plan or a process for how I get people together.” It just happens with you. David: Yeah. I think that’s typical with entrepreneurs. You’re interested in everything. Nothing is better to me than say spending a day over at the media lab at MIT. You just walk from office to office and there’s one unbelievable project after another. And I’ve always been a science fair kid. I can just go stall to stall learning a little bit about biology, a little bit about electronics, a little bit about something else. It’s just fun. Andrew: Why did you become an entrepreneur? David: Well, I think it was one of those things where I tried working for a big company for six months. I was working for RCA down in Princeton where I was going to graduate school and one day the personnel director called me in and he sat me down and there was this chart with three lines going up at different angle and he said, “I’ve got some good news for you, you’re on the ‘A’ line.” So they had you ranked so people who are the “A” line are destined for management positions. And it went out 30 years and it showed me how much I’d be earning in 30 years if I stayed at RCA for most of my life and I quit the next day. Because the idea of even contemplating what I would be doing in 30 years, just something about it rubbed me the wrong way. I said, “This is never going to work for me. I’ve just got to do my own thing.” So that’s when I moved to Boston and started my first company. Andrew: You know, as I hear that, I also think, “That’s safe.” I know that as an entrepreneur there have been days when I didn’t know what was going to happen with life for day, weeks, months, maybe even years. What about trading that kind of safety, that people don’t even get anymore, for an uncertain future, did that bother you at all? David: Well, not when I was 21 years old. I mean, if I had a bed and enough food, that was sufficient. So it didn’t bother me at all and it was better than the alternative by a long shot. But I’m a very practical guy so I kind of made it work. Andrew: What do you mean by that? How does being practical help you break away? David: So, my first company made synthesizers for rock bands. David: And we were five engineers sitting around in this lab and we finally finished making the first one of our synthesizers, which subsequently became a big deal in the music industry, and we’re all sitting around saying, “Okay, now what? We’ve got it?” And then somebody said, “Oh, well somebody better go sell this thing so we can make another one.” And they all looked around and finally everybody looked at me, because I was probably the only person in the room who put a sentence together and articulate it. So I was elected to go out and sell this thing, so I did and we built a fairly big business out of it, actually. Andrew: How did you do as a salesman initially? David: I’ve always been a good pitchman, and I love getting people on board with whatever it is that we’re doing, whether it’s backup or computer graphics or synthesizers for rock bands. The way I do my role at Carbonite is kind of at the bottom of an upside pyramid. All the real work gets done by the individual contributors, and my job is to provide the funding and the environment in which all the rest of those people can actually do their jobs efficiently. So that’s my job. We went out and raised the first round of venture capital. I tried to set a general strategy for the company. And once we get going, then I raise money and more money and keep shoveling it in and keep growing the business and trying to get more and more people to buy into our dream, whether it’s by speaking or raising money or convincing a back that they should lend us money or whatever it takes to make this work. David: I’m sure you’re the same way, you have this vision of how things are going to be and you can see it so clearly, it’s just a matter of time before it happens. It’s not if, it’s just when. I could see when we started out that every computer in the world that was hooked up to the Internet was going to get backed up over the Internet somehow, because I just could not imagine a world in which people are running around with external hard drives and tapes, and things like that. It just seemed like it was manifest destiny. So, if you’re completely convinced that what you’re doing is going to happen then it’s very easy, you can just speak from your heart, “This is what’s going to happen. So let me explain to you why I see this as so inevitable.” So it’s not like I’m trying to pitch somebody on something I don’t believe in. For me it’s just a temporal things and sometimes people get mad at me around our marketing department, because I talk about things that are in the future as if they’ve already happened today, but I think that’s just what entrepreneur do. They don’t see the future as possible, they see the future as probable or already happened in some cases. Andrew: I’m looking here at a list of the companies that you’ve started, and you’ve mentioned them before, Faxnet, Pilot Software, etc. What’s the common thread, beyond technology? David: Most of what I’ve done has been software and I have a saying that the best thing software is good for is to sell, and this is sort of the practical thing. It doesn’t give me a lot of joy to create something that nobody uses. I love the fact that . . . last Thursday I took to shuttle to New York and was talking to the guy next to me and he says, “Well what do you do?”‘ And I said, “I work for a company called Carbonite.” And he goes, “Oh, the backup company. Awesome, I have Carbonite. I’ve been a user for two years.” And then the guy across the aisle says, “Oh that Carbonite, that’s really cool. I see your ads on TV all the time.” And that’s what I find really gratifying, especially about a consumer business like this. So you have to think about how are you going to change the world with this product in some small way, and go for it. Andrew: Yeah, I can imagine that most be incredible to sit down next to someone and know that they’re a customer. David: Sure. When I was in the synthesizer business, I used to gauge our success by how many tunes I could hear on my car radio, between the time I left home and the time I got to the office. Andrew: Do you remember the first time you heard it on the radio? David: Oh, yeah. It was Herbie Hancock, “Watermelon”. And then the Who, and Stevie Wonder, and then they went on and on. We had probably 100 different bands using our products. David: Yeah. I was cool. Andrew: Why did you decide to sell it? David: Well, the Japanese were coming into the musical instrument industry in a big way and I made a trip to Japan one and took a look at a Yamaha plant and said, “There’s no way we can compete with these people. They’re too vertically integrated and they have too much money.” So we decided to sell the company, because we just knew they were going to come in and steam roller everybody in the U.S. musical instrument industry, and they did. It was a good call. Andrew: I remember reading about, I think, Wayne Huizinga cried when he sold Blockbuster. How did it fell when you sold your first business? David: I don’t know. I don’t look back. David: I know there’d be more businesses and I’ve always had a long list of ideas for future businesses that I keep there. And anytime I start to feel antsy I can review that list and add to it, delete from it and so forth. So, I give it my all when I’m doing it, but there’s always something new around the corner. So the minute you finish that chapter, you’re on to the next. And I just don’t look back. People are amazed I don’t have Art Synthesizers sitting in my basement for old time’s sake or things like that. You know, it’s over, on to the next thing. Andrew: I’m amazed you don’t have it in your office right now behind you, while we’re doing the interview. David: If you had been in the music business for ten years, you would want to be done with it too. Andrew: I see. That’s the other thing that I’m seeing here. You mentioned that you’re comfortable selling and moving on. I see FaxNet sold 1998 for $240 million. I see Pilot Software, about $40 million in revenue, sold to Dunn and Bradstreet. Every one of these companies sold, sold, sold. Do you start companies with the idea that you’ll eventually sell them? David: No, you have no idea how they’re going to turn out and in some respect the decision to sell if more an issue of timing. There is always a right time to sell something. You can ride it up and then see it go down the other side. And if you’re spending time trying to look over the horizon, sometimes you have to face the facts that it looks like we’re not going to grow a whole lot more than we are right now, because there’s competition, because the market is changing, whatever reason. And then at that time you look for an exit and generally selling the company to somebody else has been the exit for me. Art went public. All the others have been sold, because in my view their future started to look cloudy and they weren’t big enough to go public. Carbonite’s a different story. When you think about the size of the market for Carbonite, think about anybody in the world with a PC and an Internet connection, that’s who needs Carbonite. We’re talking a billion PCs probably, forgetting even smart phones and thing like that, which also need to be backed up. David: And right now we’re, kind of, number one in the market so it’s ours to lose. It’s not like we’re catching up and there’s some big huge company out there that’s going to step on us. Right now it’s an open greenfield for Carbonite. Andrew: And you’ve been going after the corporate market now too, for how long? David: About a year. So we’re in the process of really gearing that up. About three or four months ago we hired a general manager to come in and run that division. We split it off as separate business. And he’s going gang busters, he’s beating his numbers every month, and I think in the next few months you’re going to see some very aggressive moves from us in the small business market. Andrew: I’ve heard Leo Laporte talk about this for a year and explain what the Carbonite business program is. But for people who haven’t, what is Carbonite business? And I think that’s the product called Carbonite Pro, right? David: That’s what it’s called, yeah. Andrew: And how is it different from the consumer product that I can put on my computer? David: It’s really in packaging and feature differential. Carbonite Consumer is ulimited backup for one PC and that’s what we had for a long time and we had lots of small businesses that were using it, but they would up and they would complain, “Gee, I’ve got ten computers and I had to put my credit card in ten times and now all my subscriptions are expiring at different times, and all that kind of stuff. So why don’t you come out with something where I can buy one subscription to put on all my computers.” So that’s the way Carbonite Pro works. So instead of unlimited backup for one computer, you have unlimited number of computers sharing one bucket of gigabytes. So for example, you buy 250 gigabytes and you can put that on 3 computers or 30 computers or 300 computers. It’s just a matter of when you use up the gigabytes. And then there’s an administrative console so that the office admin, or something like that, can make sure all the backups are working. They can disable an account if somebody leaves the company. You don’t want them going home and downloading all their company data from the backup systems, so you can disable an account. If somebody new shows up for work, you can give them a login and a password and they can install it very easily. So there are all those sorts of things. Andrew: How do you decide what business to get into? Beyond the fact that you see a clear need for online backups, how did you know this was an idea worth making into a business? David: And he’s now our marketing VP. Andrew: So first step was market research. What’s the second step? David: Well, you have to look at the technology. One thing is, is there a real problem out there? Second issue is, can you solve it at price that’s acceptable to the market? So that means doing a rough design, costing it out, seeing if it’s really going to work. And as I said, when you look at the cost of storage in 2005, this wouldn’t have worked at $59 a year, but we knew that storage costs were dropping 35 to 40% a year and that by the time we got this thing into the market, we would be able to backup your computer for $59 and make money at it. So that did in fact happen. That was obviously a risk, but that turned out be the case. And in fact storage costs have continued to drop ever since. I remember in 2006, when we first came out, it took 24 six foot racks of storage devices and about a $1.5 million to buy one petabyte of storage. That’s a million gigabytes. Today we rack a petabyte of storage about every two weeks and it’s about $250,000. David: And it takes one rack instead of 24. So all of this stuff has just gone like this, and it gets cheaper, 35% a year roughly, the process come down. So every year this business gets better and better. Andrew: I just bought a three terabyte hard drive. I don’t even know what I’m going to do with a three hard drive, it’s still in the box, but it was so cheap. Andrew: I figured I’ll plug it and back up locally. Unbelievable. David: And there’s no end in sight right now. Andrew: Yeah, especially, this video is going to take up space. The unedited version is going to take up space on my computer. We’re just going to need more and more and more space. David: Yeah. The two megapixel camera becomes a six megapixel camera, becomes the ten megapixel camera. Absolutely. Andrew: So what happens when you promise that it’ll be under $60 backup our whole computer and our hard drives are getting more and more packed with more data and the hard drives that come with our computers are getting bigger and bigger, how do you keep up? David: Well, any kind of unlimited plan, whether it’s an all you can eat restaurant or a cell phone plan or Carbonite’s plans for that matter, you have to plan on losing money on a very small percentage of your users. But we feel that that’s a small price to pay for the simplicity that everybody gets. And I don’t think any of our competitors, even to this day, really understand why decided to go with unlimited backup. It’s not about more gigabytes for the amount of money that you spend, it’s about the simplicity. If I back up everything you don’t have to make any choices all you need to do is put in an email address and a password and if we backup a bunch of stuff that doesn’t really need to be backed up, well that’s our problem not yours. But at least you don’t have to sit there looking at your 5,000 folders on your hard drive trying to decide which ones are worth saving and which one aren’t. Nobody wants to do that. Andrew: I saw a complaint on GetSatisfaction from a user who said, “I thought everything was being backed up because I use Carbonite.” It turns out certain files, I think it was video files and .exe files, weren’t being backed up and when he signed up they were and he had every expectation that they would be, and Carbonite made the decision that people just don’t need this and many people don’t want it anymore. What about those issue? David: Well, he didn’t read, because it’s very clear at at least three or four points during the install process that we don’t backup .exe’s or any kind of system files, because there’s no point in backing them up unless you’re a programmer, because if you take any kind of executable and restore it to a new computer it won’t work and Microsoft made sure of that, because they don’t want people just copying their software. And movies, it’s the same thing, we tell people, “Look, we don’t back up videos by default. If you want to backup videos, you have to select videos.” And the reason for that is, we find people that have tons of feature length films and TV shows and all kinds of garbage on their computers that are huge in size and will slow down their backups. And it means that things that they’re really worried about like their photos and their text files and things like that aren’t getting backed up. So we can’t tell the difference between somebody’s Thursday night football game that they recorded and valuable home movie, so we just say, “Look, if you want to backup videos, select it.” Man, I’ll tell you we have just done everything we can except beat somebody over the head, and people still don’t read. So we’re now putting things in place where we’re reminding them even after they’ve installed if they’re not backing up videos. But you’re always going to have people who just click the buttons and forget about it. Andrew: I think there was a period there where you were doing that, according to the customer service rep who came in to get satisfaction, and your people do go into conversations and respond. And I think the customer service person said, “There was a period where we were backing those things up, and then we changed and maybe we didn’t communicate that well to you.” How do you make decisions like that? How do you decide, this is better for the user and it’s better for us as a company to not backup the Monday night football game that people saved, but we might be losing some people as a result of this? David: Well, when we were backing up the videos, you’d find people who had 80 gigabytes of TV shows, or something like that, and on a standard DSL that might take two or three months to back that stuff up. Andrew: And as a result, their documents don’t get backed up, their emails. David: So people’s hard drives were crashing and then they’d go to Carbonite and they’d find out that the stuff that really needed wasn’t backed up yet, because they were busy backing up some TV show. So we said, “That’s a crummy user experience and we’re better off going the other way, which is let’s make sure we get the important stuff backed up first.” And so that’s what led us to the decision to take the videos out of the default. Andrew: How do you handle customers who complain in public, considering how public everyone is today? David: If it’s addressed to me, I get right on it and answer it personally. Andrew: If a customer sends you a email, you respond to it personally? David: If it’s something where they say, “I really want to hear from David Friend. I don’t want to hear from David Friend’s assistant,” absolutely, and I do it every single day of the week. And people are totally amazed when they get an email from the CEO personally saying, “Look, I’m sorry you don’t like the way that works.” Or, “I’m sorry you had this bad experience with customer support. Let me see what I can do to make it right for you.” And I’ll do those things at 11:30 at night sometimes, because I can’t stand it when somebody doesn’t like what we’ve done. It drives me nuts. Andrew: How do you fix that? David: We bend over backwards. Andrew: Do you have an example of something that you did when someone sent you an email saying, “I’m not happy with Carbonite,” and it hurt you? Do have an example of you handled it, you personally? David: Yeah. So most frequently when that happens it’s somebody who’s called customer support. They’ve got a new rep who’s only been on the job three days and gives them a dumb answer to a very reasonable question. And they get all frustrated and they write to me and tell me how crummy things are. And I usually go and find out who it was they talked to, how did they happen to talk to this person without supervision, we try to fix the problem, then I write back to them saying, “Look, I’m really sorry this happened. Once in a while these things happen. We modified our procedures so that it doesn’t happen again in the future and I really appreciate your bring this to my attention so that we can improve what we do.” And I think that’s the right was to treat a customer. If somebody’s really unhappy with Carbonite, we don’t have an official money back guarantee policy, but if we really failed you, no problem, we’ll just send you your money back and no questions asked. I try to be like Nordstrom which is, “Even if it’s not our fault, we’ll take responsibility for it.” But the key is to get out there and address the issue quickly, be responsive. There are people in marketing who monitor all the Twitter feeds and the social media stuff, and if there’s something out there that somebody’s got a problem with, I’ll jump in. And we have other people here who will jump in. Andrew: Speaking of Twitter feeds, I have some tweets that people sent out when you spoke at a conference called M-O-S-U-M, I don’t know what that’s short for, but I guess you spoke there recently and people were tweeting out about it. Here’s what they said, they said that, “You developers answer tech support issues.” Is that right or talk to customers? How does that work? David: Well everybody in the company, including the developers, me, and everybody else has to go down and spend an hour each month in customer support, sitting there answering questions just so that people keep the reality in their head of what the real world is like out there. So we allocate a certain percentage of our R&D time every month take have engineers actually address issues that come up through the customer support organization. And it’s not uncommon for us to put a design engineer on the phone with a customer to try to find out the heck it going in there, if there is some problem that is eluding the customer support people. Andrew: Going back to when you launched, you said that a reseller directed you towards saving photos. When you launched was the channel you launched through retail, bricks and mortar stores, or were you launching and selling directly to customers online the way you do now? What was the process? David: We turned on our website and the first day the cash register rang. David: So [TD] this is great and that’s the way it’s been ever since. Andrew: How did people find you that first day? David: Beats me. Probably PR. But very quickly after we launched we started our first real mass advertising campaign, which was talk radio. And one of the things that the market research had shown us was, one of the obstacles we were going to have to overcome as a little company was, “Who the heck is Carbonite? And why should I trust you guys with all my most private data.” And we also realized that we can talk about blowfish encryption and this kind of stuff until we’re blue in the face and the average person doesn’t have a clue what you’re talking about. So we need to find a way to get people to trust Carbonite with their data. And that’s when we came up with the idea of using endorsement radio and that was a huge driver. I mean, when we started advertizing on radio thousands and thousands of people started coming to our website. And now, of course, we do TV and magazines and newspapers, in-flight stuff, and trains, and billboards, and you name it. We have probably 150 marketing programs. Andrew: One of the shows that you’re on is the Rush Limbaugh show, very controversial. Why aren’t you afraid to be associated with that kind of controversy? David: Well, we’re also with Rachel Maddow and Ed Schultz. Andrew: And the reason you went down that direction is because you want the reputation of the person who’s on the show to influence the decision of their fans, you want an endorsement? David: Their fans trust them. David: And with good reason. I mean, Rush Limbaugh will not advertize any product. He’s spent a good deal of time trying Carbonite, thinking about it, because his reputation is on the line, as are all the other talk show hosts. I mean, Howard Stern, Rachel Maddow. Andrew: For me it’s Leo Laporte. I hear all the time talk about you. David: Yeah, these people used Carbonite and they really liked it. When I go down and visit these guys, they want to know how the company’s doing, they want to see all the new products. And can remember sitting with Rush Limbaugh, showing him how he could access all of his files on his iPhone and he was like, “Holy mackerel, that’s what I’ve always wanted.” He said, “I can be anywhere and get anything on any of my computers.” And he had like five Macs, he’s got one at home, he’s got two in the office, he’s got one here, one there. And he doesn’t have to worry about leaving them on anymore. He can get to 100% of all of his stuff no matter where he is. And so he gets excited about that stuff and then when he goes on the air and talks about parley, he’s genuinely excited about this product and it come through in the delivery. You can tell when you’re hearing these guys talk that it’s not soap or something he really doesn’t care about. It’s a cool product and they like it. Andrew: Was there any concern in the beginning that it’s harder to measure radio and it’s harder to offline media than it is online? David: Well, our marketing VP is a Yale math graduate and there are ways to get very good estimates, even though there is not a lot of direct response kind of thing. But talk radio is not that hard, because each host like Leo Laporte, he’ll say, “Put in offer code ‘Leo’ and get two free months when you sign up.” Not that many people do, but enough do that it’s statistically accurate for our purposes. TV is much harder, because the response rate on TV, filling in the offer codes and so forth, is generally lower, but there are statistical ways you can tell by matching up the times of day with the times the, I mean people if they hear a Carbonite add, frequently they’ll go right over to their computer and look it up, right then and there. So you can tell when an ad runs. Sometimes you can go to see the spike in signups and statistically you can infer from that a great deal about the effectiveness of the advertizing. Andrew: I’ve read you’re moving customer support back to the U.S., I think Maine. why? Andrew: Yeah, what made you decide to do that? David: It’s just better support. We feel that when your computer dies people freak out and they just want somebody to hold their hand. And I’ve been on the receiving end of some of those calls. Somebody will say, “My computer died. You guys have the only copy left in the world of my wedding pictures or pictures of my kids. I know it’s supposed to do a restore, but I just want somebody to hold my hand to make sure I don’t push the wrong button.” And it’s a big deal and we found that we were better at doing that in the States. We don’t have the times issues, the cultural issues, it just the overall customer experience is better. And so for a while now we’ve been moving support back to the U.S. It costs us a lot more money to do it here, but the customer satisfaction numbers are so much better that in the long run I think it will help us. We can turn every customer in to an evangelist for Carbonite if we do a really good for them. Andrew: What else do I want to ask you about? How about, any big setbacks? What’s the biggest setback in the business in the last seven years? David: I have to be honest, this is the first business I’ve ever had where, where we are today looks almost exactly like the business plan that we put in front of the CEs back in 2005. If you look at the charts that show Carbonite’s financial metrics, they are literally and monotonic upward line on almost everything. Andrew: Really? Is the business profitable? David: I can’t talk about numbers. David: I told you. But everything has gone according to plan, as the emperor said. Andrew: What about this, I don’t know if you can talk about this, but you guys raised, where is that number I had, 66 . . .
David: $60 some odd million. Andrew: Right. Why so much? David: Well, because after the first $4 million A round it was pretty clear that we could spend a dollar on marketing and get three or four dollars of customer value back and so I said, “Holy Mackerel, we have a machine here where you can put a buck in the top turn the crack and three or four dollars comes out. Put me back in the road to raise some more money, because I want to start shoveling money into the top of this machine as fast as I can.” And that’s the way it’s been. And so each time we’re able to raise money at huge increases in valuation, because the risks just get lower and lower. Andrew: And did you and Jeff take money off the table through one of those rounds. Andrew: Why do you think Mozy sold we they did in 2007? David: I think the guy who was the CEO was at a different stage of life than I’m at. David: There’s a big difference between having zero and a couple of million bucks in the bank than there is between already having some millions of bucks in the back and having more millions. So I’m sure that Carbonite will have a big payoff for me, but it’s probably not going to change my life one iota. But I was in the same position that guy was in back in 1980 when I was selling my first company and my VCs were pleading with me to keep going and I said, “You know, I’ve got an offer right now, in hand, that’s going to change my back account from being a nickel to being a couple of million bucks.” And that’s a big difference for me. So I said, ‘I’m sorry I don’t want to carry on with this, guys, but this is going to change my life.’ And I think that’s probably where he was too, because he had not really had a success. David: Well it gave me the luxury to spend as much time as I wanted getting my next startup going. My wife had envisioned that I would spend the next ten years throwing a Frisbee and relaxing, but about two or three weeks was enough. And there’s never really been a interval. It’s been like one company ends the next one starts almost the next day. Andrew: That’s what I’m seeing here. Andrew: Does life feel secure? Is it easier to take risks after that? David: I think you’re a better manager when you’re not worried about whether you’re going to have a [??] on your family and all that kind of stuff. It gives me more confidence and it’s easier to make tough decisions. Andrew: Do you have an example of a decision that you were able to make better because of it? A tough decision you were able to make because you had more security? David: Well, just going from one company to the next. So typically between companies you go six to nine months without any pay. You’ve probably been through that. If you’ve got nine months worth of cash in the bank and then you’re going to be in really desperate shape, it means that you might do some things in the short term that are going to be helpful in the short terms, but maybe not set you up for the long term. David: So maybe you’ll do the short way to get the product designed, but it won’t be scalable, it won’t be exactly what you need. And a lot of guys who can’t afford to do it the way I did it, they’ll do consulting work to keep themselves alive, and so forth, but what happens when you do that is you miss your window. You should really be focusing 100% of your time going for broke to get this next thing and not doing it kind of a half assed job at it. So I feel very fortunate that I can take the next six months or a year and even if the thing doesn’t materialize I’m still going to be OK. But you can go at it 100% and not make decisions that are short sighted. Andrew: I’m looking at you as we talk, it’s been now an hour that we’ve been talking, and I don’t see a sense of stress, of discomfort. Are you naturally a non stressed person? Or am I seeing you on a great day? David: Am I a non-stressed person? I am not flappable. So when people come in here sometimes and they go berserk and they scream and they yell. I’m like, “Hey, I understand why you’re upset and let’s just look at the problem and try to figure out what’s really wrong here.” So I don’t know, I’ve got four kids. When you have four kids to raise and grow up, you’ve kind of heard it all. If you were the kind of person that was going to excitable and things were going to get to you, you probably would be crazy by now. So that’s just kind of the way I am. Andrew: Also in the list of tweets I saw earlier around this conference, that I don’t even know what it is, you said at this conference, “About Carbonite’s PR fiasco, has apologized, come clean, put in clear PR policies, and didn’t fire the initial offender.” What is that in reference to? David: I think it was back in 2006, when we were just like seven or eight people sitting around by dining room table and we had just launched the service, one of our young employees posted a five-star review of Carbonite on Amazon. He actually put his name on the review and some snarky blogger put two and two together and posted this very sort of self-important post saying, “Carbonite posts five-star reviews of their own product at Amazon.” And this created a huge storm of self-righteousness on the Internet, and we went and said, “Look, sorry this happened. We didn’t have a policy in place about it, but you can’t blame an employee if you don’t tell them what the ground rules are. He didn’t even lie about who he was. He put his own name on the thing.” So we put a policy in place and it never happened again. But today with all these people under [??] us we have policies for this and policies for that and these things get created out of necessity to avoid things like that so that people do understand how you’re supposed to treat the outside world, how you’re supposed to customers, how you’re supposed your follow employees. Andrew: I remember that being a hot issue and in preparation for this interview I went and I looked it up to see what was going on. I even read to comments on David Pogue’s Post in the New York Times and I said, “I’m finally going to get to talk to the founder of Carbonite and I’ll get to ask him.” And really in retrospect there was so little that I didn’t even want to bring it up when I looked at it on my list of questions. I said, “That was such a petty thing.” Was there any impact to the business at the time, or was it just one of those things that seem heated outside and it was nothing? David: We didn’t notice anything. We addressed, we fessed up to, we apologized and we moved on. It’s not like any harm was really done. But I also didn’t want to see it happen again, because it’s one thing to be seven people sitting around my dining room table when that happens. It would be another thing if it happened today. It would be a clear violation of company policy. Andrew: What advice do you have to my audience of entrepreneurs? What’s one thing that they should keep in mind after this interview? David: Don’t go off and build something unless you’re pretty sure you’re going to solve a need. Do your market research first, because I’m a very active angel investor and it’s amazing the number of business plans that I see where people don’t even make an attempt to try to validate the market. They’ve got an idea, they’re sure that if they wish hard enough that people are going to say, “I need that.” And it’s really easy to find out in advance before you put a million dollars into product development whether you’re on the right track. Andrew: How can you do that without hiring a marketing company like you did? Andrew: You said it was really easy to test out before you launch. How can you do it without . . .
David: And actually write down the results and keep score and when you’re done add it up and say, “Okay. Well, the 100 people are representative of the world. How much is it going to cost me to reach one million people.” And if you of that million people only 1,000 are going to buy my product, does that work? How much is it going to cost me to reach a million people? How much money am I going to get from the 1,000 who are going to buy my product? Do I have a business? It’s really easy. It’s unbelievably easy and very few people do it. Andrew: I get that. I feel like entrepreneurs we’re just hot to get started with an idea and we just want to go, go, go. David: Yeah. Well it’s okay to get the idea to the point where you can explain it to somebody or you show them a paper prototype or you even show them a working breadboard. But you’re crazy to go ahead, especially with a big large scale system like we have. You can’t have a backup system without spending a million dollars on the development in the back end. So if this were a website that we had where the development costs were $50,000, well maybe I would say, “Okay. I’ll just try it. If it doesn’t work, I’ll lose $50,000.” But in Carbonite’s case, a lot of work has to go into building the product and I certainly didn’t want to do that without checking it out first to see if anybody agreed, “Hey, you’re friend’s a lunatic. He’s the only person who’s ever going to want this.” If that’s the case, I want to know that now before I spend a million dollars developing the product. Andrew: Well, great advice. The company, of course, is Carbonite a cloud based backup solution that just works automatically in the cloud. David: Bye. Nice to meet you. Andrew: Good to meet you too. Thank you all for watching. Bye. Teamwork Project Manager – Project management made easy. Are you working with a co-founder? Or with a virtual assistant? Or with a team of employees? Stay co-ordinated and productive with Teamwork PM.